Requires the player to reach Tier 12 in Season 6 Battle Pass. 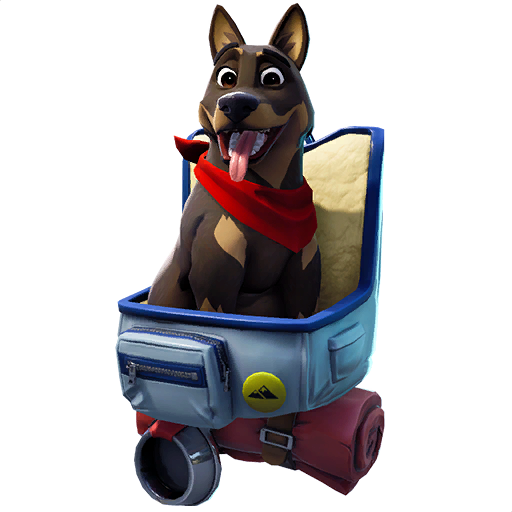 Bonesy is the name of one of the epic pet cosmetic items for the game Fortnite Battle Royale. Pets are fan-favorite cosmetic items that allow players to carry a little animal in the back of their avatars. Pets do not provide any benefit or added functions to the game. Bonesy is among the very first pet items to be introduced to the game. Bonesy is a cute little brown dog wearing a green scarf. This dog rides on top of a blue carrier that is strapped on the player’s back like a backpack. The carrier also features a dog food bowl and a rolled mat hanging below it. 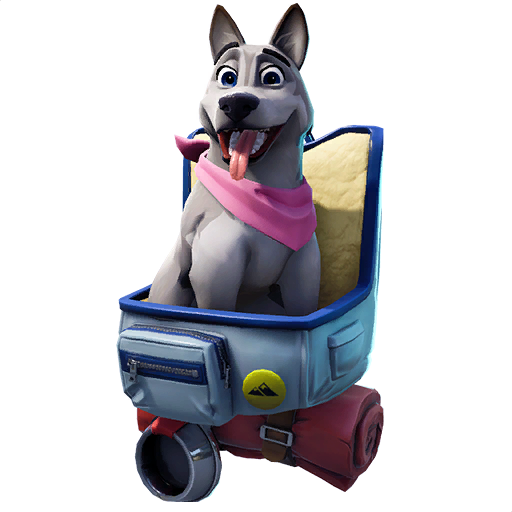 Bonesy features unlockable styles White and Mocha that changes the color of Bonesy the dog, but not the carrier. This epic pet item is not a part of any set. This pet cosmetic item will be unlocked after purchasing the Season 6 Battle Pass and reaching tier 12. This skin has 3 selectable styles that can be unlocked in-game, check below. Bonesy high-quality PNG images with transparent background to use them as you wish (YouTube thumbnails, skin concept and so on).